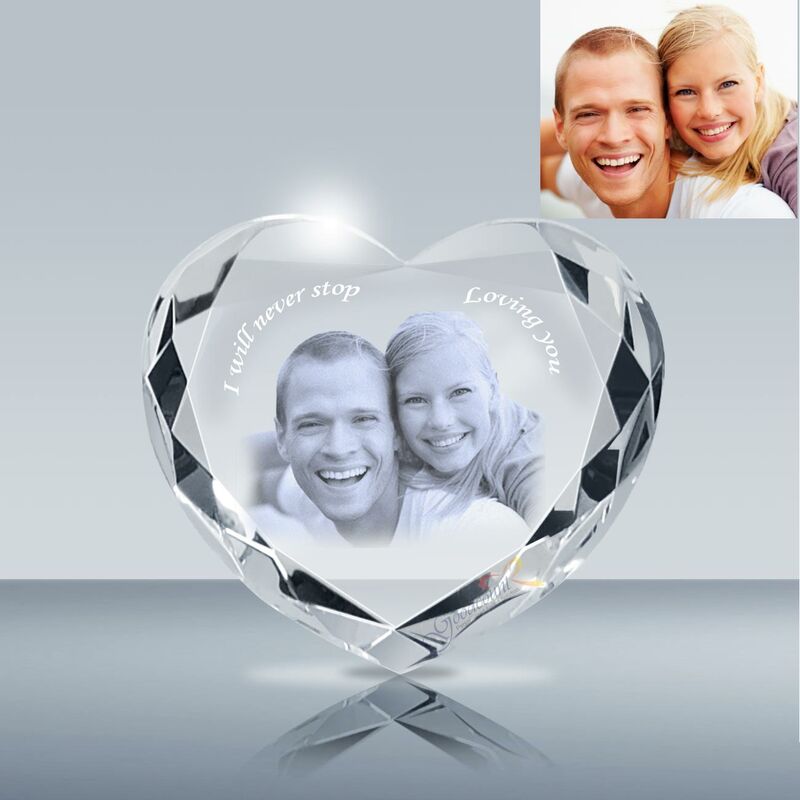 Laser Etching 2D 3D Crystal Heart - Large	Overall rating:	5	out of 5 based on 1	reviews. 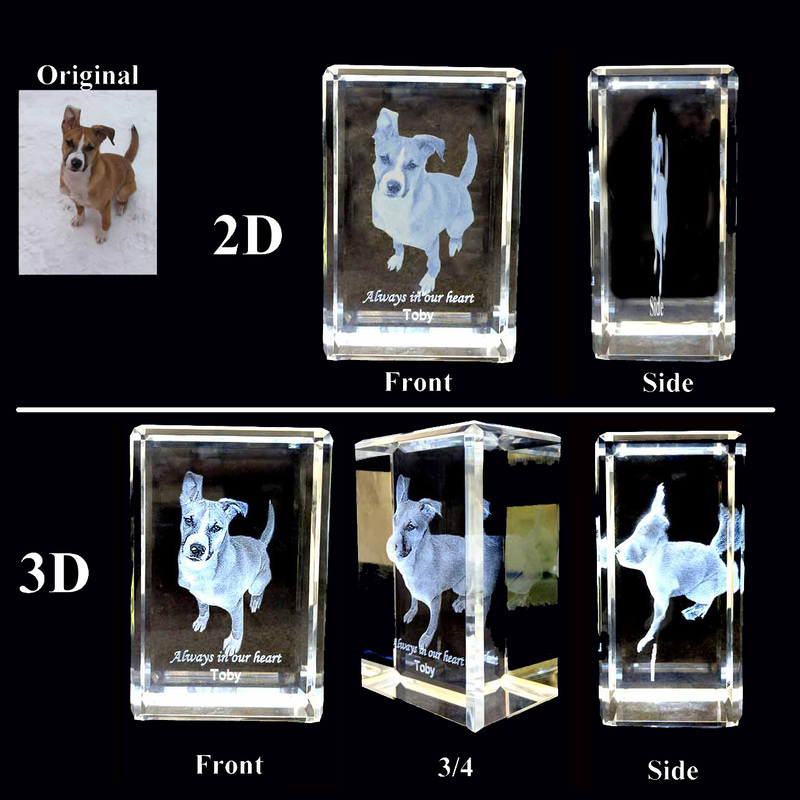 • 3″ crystal LED lighted base is optional. 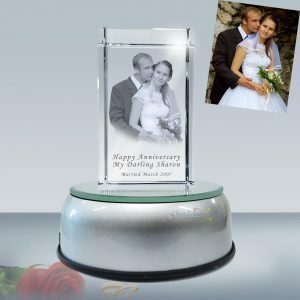 The lighted base enhances image inside glass. 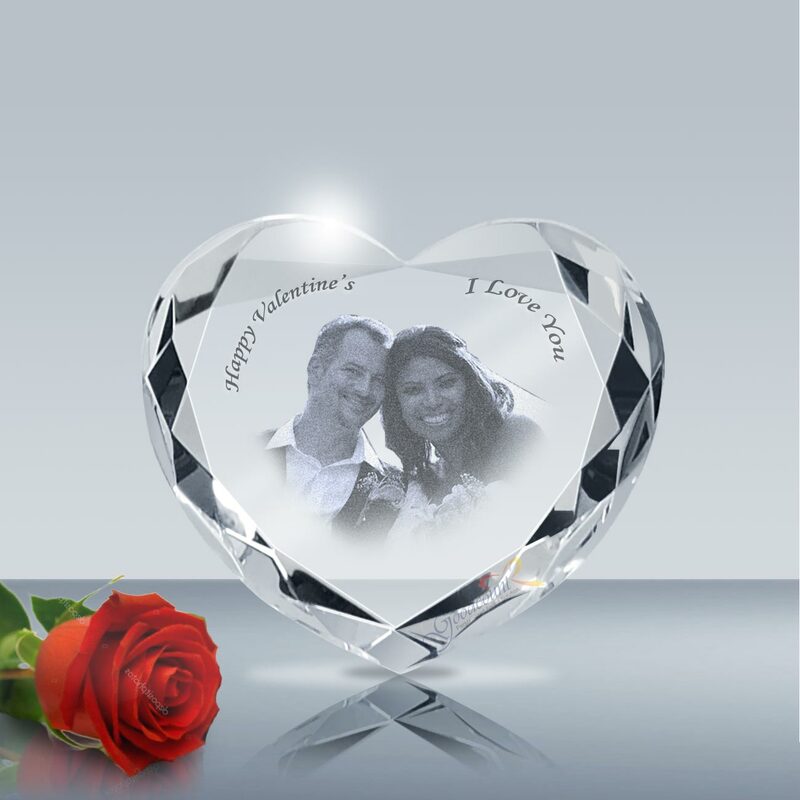 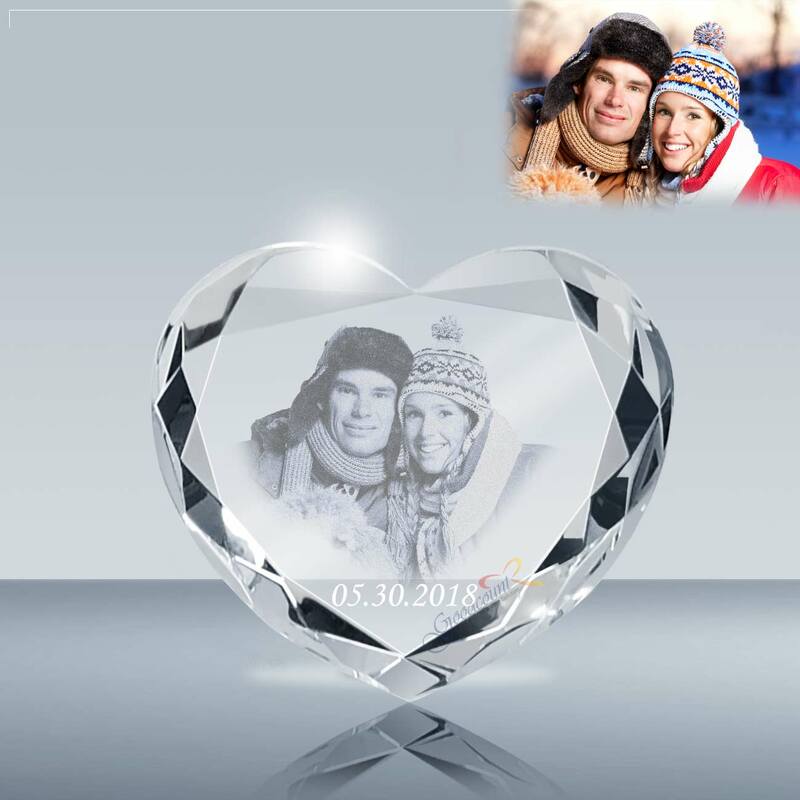 With its elegant heart shape design and engraved 2D or 3D image laser engraved inside of glass, this heart crystal photo is a perfect way to recognize someone in the organization who go out of their way to be kind and helpful to others. 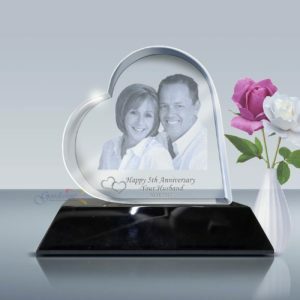 It is also the perfect anniversary and wedding gift to give to your loved one. We can engrave text inside the crystal as well. 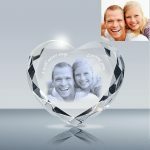 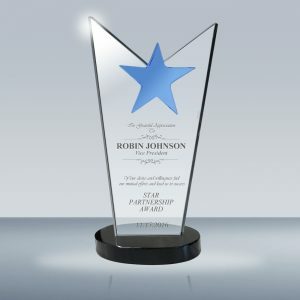 At Goodcount, we offer personalized Engraved crystal gifts and awards for Corporate Events and Personal Occasion. 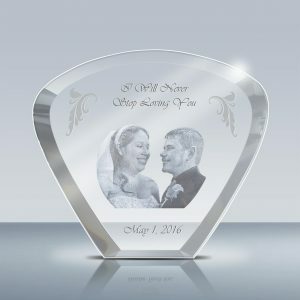 Whether you need Holiday Gift, Appreciation Gifts, Christian Gifts, Corporate Awards, Gift for special recipient such as police, fire fighter, nurse, military gifts, recognition awards, retirement gifts, gifts for teachers and coaches, wedding and anniversary ceremonies, or more, we are here to provide them with your custom image and message. 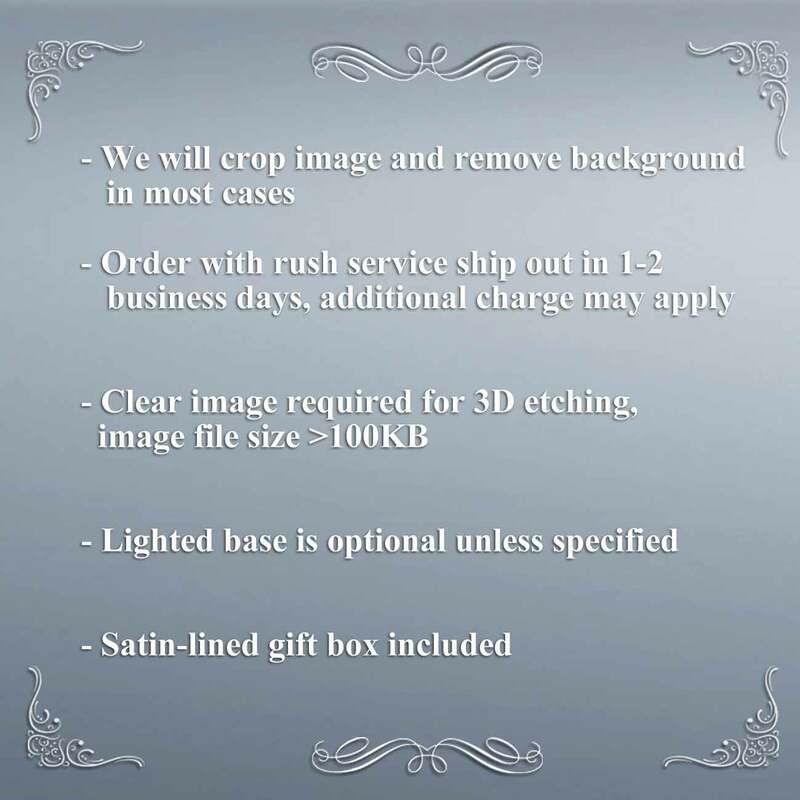 Rush shipping is also available.